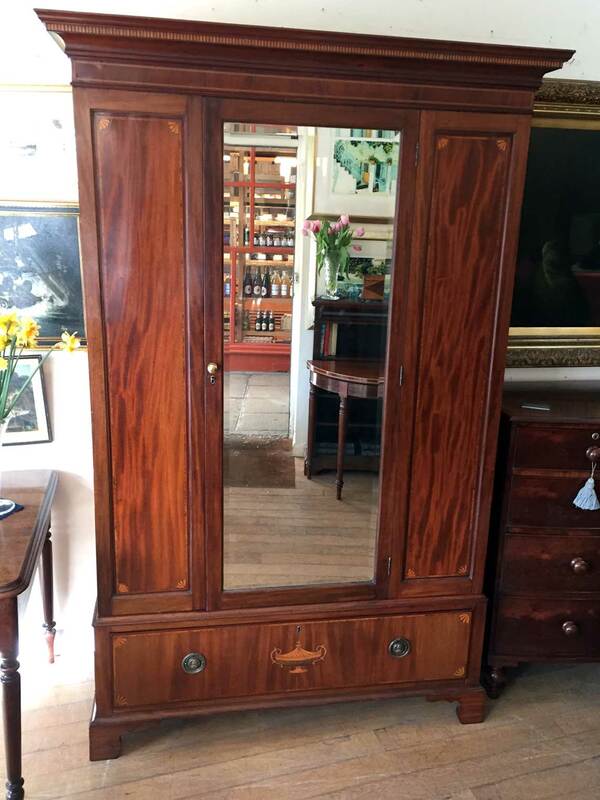 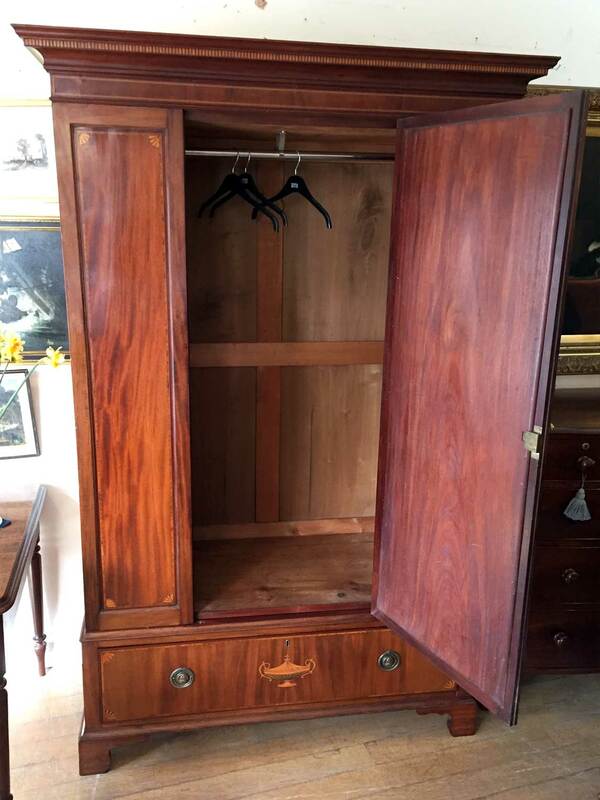 19th Century Victorian Solid Mahogany Inlaid Wardrobe which comes apart in 3 sections. 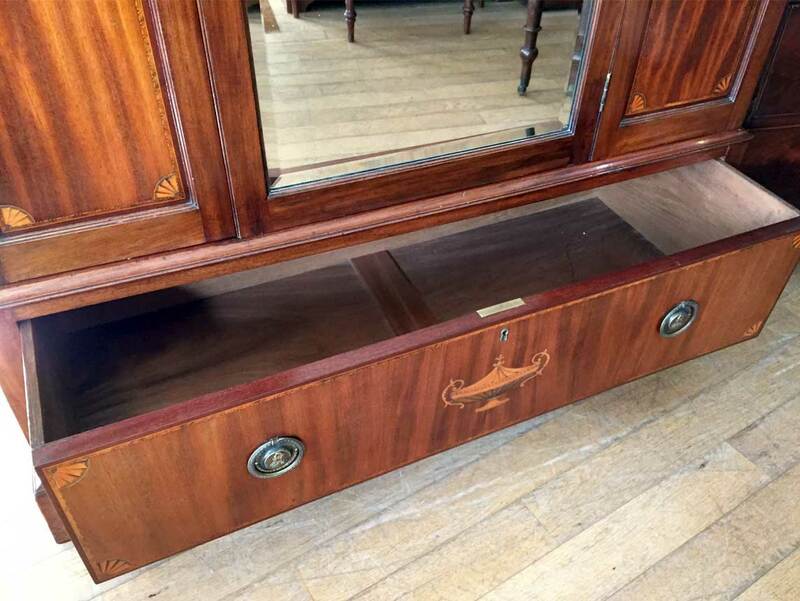 The central door is bevelled mirror and the two outer panels are beautifully figured with arched moulding and inlay. 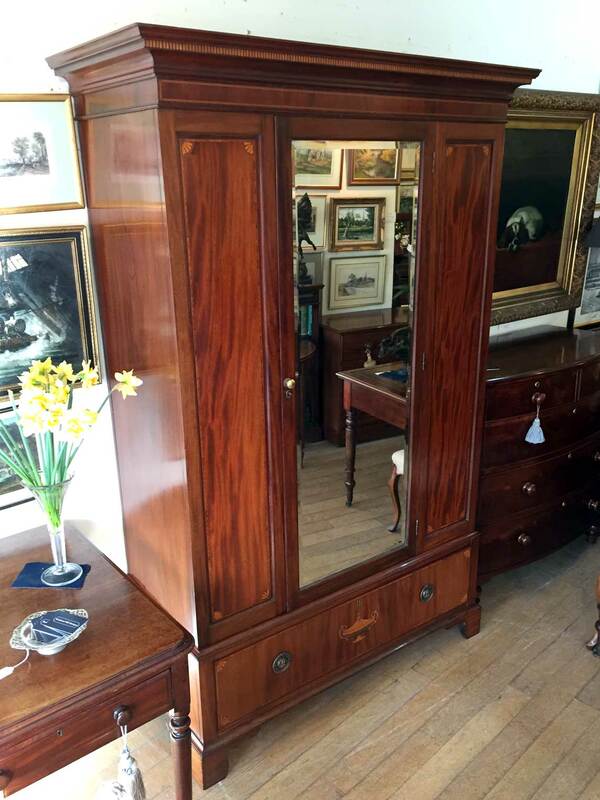 This quality piece has an interior hanging rail, solid mahogany bottom drawer and stands on a plinth base with original cornice to top.